Since this page was first created events have overtaken my original idea of showing views along the roads and lanes of Mobberley. Google Street View is now in being and they have saved me a job. When Google maps has loaded drag the orange man from above the zoom slider bar and place onto road; alternatively just zoom in. Choose your tour from the menu below. If your are feeling energetic select Footpaths. 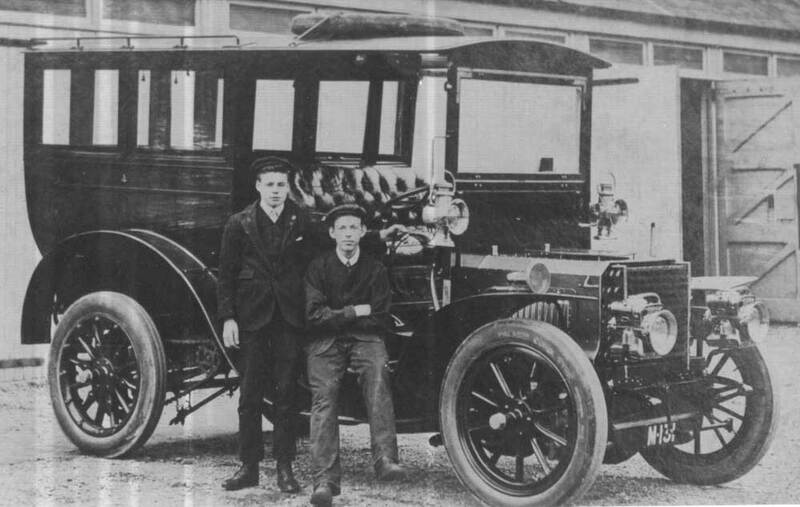 In 1903, one of the first vehicles in Mobberley, to be registered, was this Maudslay convertible omnibus, registration M 131. It must have been a grand sight painted in its dark green and red livery! The owner was one Arthur Lavington Payne, a merchant who lived in the Manor House(now demolished) by St. Wilfrid’s.